Great family home in desirable Ashwood subdivision. MLS#21624131. F.C. Tucker Company. River Highlands - Walk-out Lwr Level Features 5th bedroom, Full Bath, Recreation room W/ Huge Wet Bar & Bonus Room Perfect For Entertaining! MLS#21630528. F.C. Tucker Company. Don't miss the full unfinished basement and 3 car garage. MLS#21629651. Keller Williams Indy Metro NE. Sandstone Knoll - Main level bedroom and spacious upper level bedrooms and large loft.Spacious main level laundry room with cabinets.Super sized master bedroom suite has a walk-in closet the size of most bedrooms with built-ins for all of your wardrobes and accessories.Finished partial basement and 3 car garage with storage. MLS#21628605. F.C. Tucker Company. Silverton - Finished basement with Recreation room, home theater /exercise room, full bath and tons of storage. Community pool, playground & bball. MLS#21629842. F.C. Tucker Company. Pine Bluff - Put Your Finishing Touches Like Paint And Flooring On This Home To Make It Your Own. MLS#21630853. Beeson Marketing Group. Plus, a one year home warranty will transfer to buyer at closing. MLS#21628991. 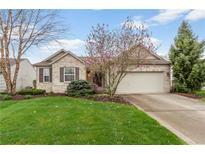 Keller Williams Indpls Metro N.
**Open house this Sunday 4/14, 1-3pm! ** MLS#21630460. Highgarden Real Estate. Plantana - Great Ranch home MLS#21630574. 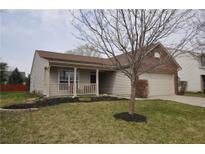 Keller Williams Indpls Metro N.
Master suite has walk in closet, updated dual vanity sink. Great location. MLS#21630730. CENTURY 21 Scheetz. New Britton Woods - Side garage door for motorcycle, golf cart, or UTV. MLS#21630259. F.C. Tucker Company. Come see this well cared for beautiful home before it's gone! MLS#21629518. F.C. Tucker Company. Home was just professionally painted in Designer Colors! Welcome Home! ! MLS#21630610. RE/MAX Legends Group. Hall bath also has a double sink! Hurry, it won't last! MLS#21630377. Highgarden Real Estate. 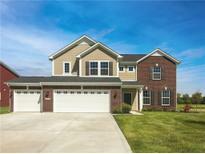 Sand Creek Woods - Don’t Miss This Rare Find In One Of Fisher’s Best Neighborhoods! MLS#21619941. Keller Williams Indy Metro NE. There are some cosmetic updates needed to bring the home up to market trends but house is priced to sell quickly. MLS#21629704. CENTURY 21 Scheetz. Woodberry - Top Rated Fishers School System. One year warranty included. MLS#21627326. CENTURY 21 Scheetz. Truly a one-of-a-kind home. Set up your tour today! MLS#21630133. RE/MAX Realty Services. 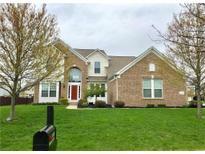 Huge bonus room with bath, 2 laundry rooms, Finished basement with custom brick wet bar, built-in wine rack/fridge. MLS#21630056. Geist Realty, LLC. Lower level features egress windows offering lots of natural light, family room, 4th bedroom & 3rd full bath, + extensive outdoor living w/ covered porch & over sized back patio. MLS#21625730. RE/MAX Legends Group. Britton Falls - Built in 2017 on a fun, new street. Fabulous 55+ lifestyle! MLS#21630020. Liberty Real Estate, LLC..